Water Underground | Happy birthday plate tectonics! 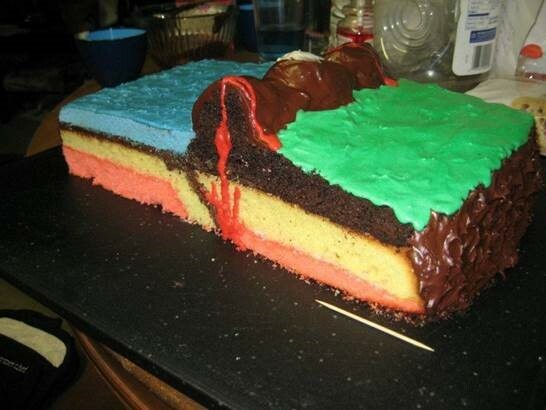 EGU Blogs » Network » Water Underground » Happy birthday plate tectonics! Post by Elco Luijendijk, a junior lecturer, and David Hindle, lecturer and head of geodynamic modelling, both at the Department of Structural Geology and Geodynamics at the University of Göttingen, in Germany. Plate tectonic theory explains the how the Earth’s surface is formed and how it consists of rigid plates on top of a layer that is called the asthenosphere and that behaves like a slow-moving liquid. The plates move around, collide and subduct beneath each other. Plate tectonics successfully explains many features of the surface of the Earth, such as mountain belts at the collision zones of plates, ocean basins at places where plates move apart and the concentration of earthquakes near plate boundaries. For instance it is quite easy to recognize the boundaries of tectonic plates if you look at the earthquake distribution in Figure 2. Actually, depending on your definition either 2017 or 2018 is the 50th birthday of plate tectonics. The story why this is the case is a bit complex. Jason Morgan first presented the theory at meeting of the American Geophysical Union (AGU) in 1967. However, the first paper on the mathematical principle of the movement of tectonic plates was published in the same year by McKenzie and Parker (1967). Jason Morgan’s paper (Morgan 1968) is the first one to clearly demonstrate the global geometry of all the major tectonic plates, but had got delayed by peer-review for over a year. The development of plate tectonics involved many scientist and several earlier theories, such as seafloor spreading (which showed that ocean basins were split in two halves that were moving apart). There are surprisingly few books available on the history of plate tectonics, but one that is definitely an enjoyable read is “Plate Tectonics: An Insider’s History Of The Modern Theory Of The Earth” (Oreskes 2003). It is a fascinating collection of stories by most of the scientist that were involved in the development of the theory. 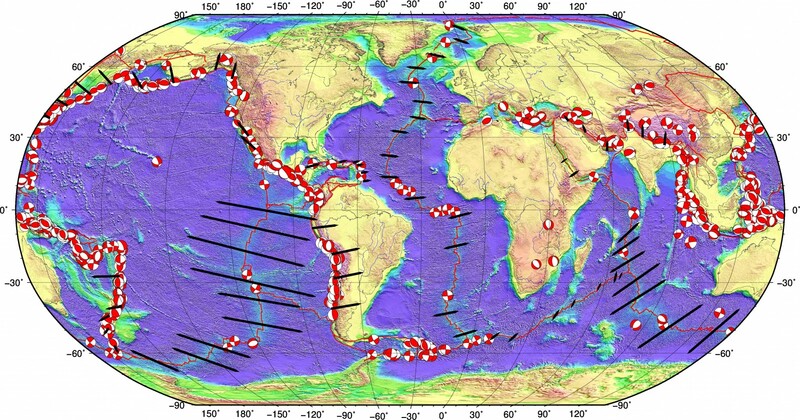 Figure 2 Plate boundaries on earth, with earthquakes > M6.5, since the year 2000, and with selected relative motion arrows for plate pairs – the motions shown are always those between adjacent plates. Double arrows imply spreading – moving apart of plates, mostly on oceanic ridges, while single arrows imply either strike slip motion (California and the San Andreas fault for instance) or convergence (either subduction of an oceanic plate under a continental one – under the Andes mountains in South America as an example, or collision of two continental plates as between India and Eurasia in the Himalayas for instance). Earthquakes are clearly concentrated on plate boundaries. This map was made using GMT (http://gmt.soest.hawaii.edu/). Ok, that is all very interesting, but you could ask the question: what does plate tectonics have to do with Water Underground? In some regards not much. We can often ignore plate tectonics when looking at groundwater flow. Hydrogeologists tend to study groundwater supply and pollution on human time and space scales. Because plates move very slowly (up to tens of mm per year), on short timescales the subsurface can be regarded as static layer of rocks that does not move or deform. However, most of the groundwater on our planet is old, and has infiltrated to the subsurface ten thousand years ago or earlier (Jasechko et al. 2017). The oldest groundwater that we know is 1.5 billion years old and was found at 2 km depth in a mine in near Timmins, Canada (Holland et al. 2013). Over its long history it was part of ancient and long disintegrated continents and the plate that holds this water moved from an area south of the equator to its present position. Plate tectonics affect groundwater. Especially in deeper (several kilometers) parts of the crust, the groundwater pressure, salinity and composition that we encounter today are often the result of a long geological history. Over time, sediments were added and removed by erosion, layers were compacted, folded and/or faulted, which affected groundwater flow and its interaction with the rocks that contain it. The reverse is also true: groundwater affects plate tectonics. This is perhaps most important near mid-ocean ridges, where two plates move apart, and new crust is being added to these plates all the time. There is abundant evidence for strong circulation of seawater through the subsurface, which cools the hot new crust, reacts with the rocks around it and changes the chemistry of the crust and the ocean. 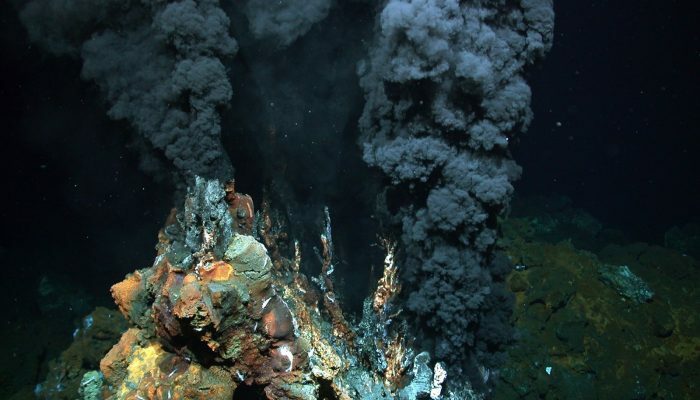 The most visible evidence are so-called black smokers (Figure 3), where hot (350 ˚C) water discharges into the ocean through fissures in the crust and carries along black plumes full of dissolved minerals. At the opposite end of the plates, the presence of water underground changes how easy or hard it is for one plate to subduct beneath another in a plate collision zone, as was discussed at a recent AGU conference (link to session), 50 years after the AGU conference where Jason Morgan presented his theory. On a smaller scale, faults that enable the stacking of rocks in plate collision zones (mountain belts) or the breaking apart of rocks in rift zones (where plates split up), are dependent on the presence of groundwater. Even before the advent of plate tectonics Hubbert and Rubey (1959), showed that water in fault zones can act as a kind of lubricant that enables two adjacent blocks of rocks to move past each other. Because this movement gives rise to earthquakes, groundwater may also play an important role in the earthquake cycle. This role is still heavily debated and is researched by drilling deep wells in faults at plate boundaries, such as at the San Andreas fault in California (Zoback et al. 2010) or the Nankai through (Hammerschmidt et al. 2013). Without sufficient groundwater plate tectonics may not exist on our planet. The movement of tectonic plates depends on how easily the rocks below these plates can deform. At these depths, high pressures and temperatures promote the slow deformation of the crystals that make up the rocks at this depth. The mechanisms that cause the deformation of crystals are termed “creep”. Whether or not the rock contains water (in the form of -OH groups) affects creep: generally, “wet” minerals are up to a factor of 10 “softer” than “dry” ones. The actual physics and chemistry of how -OH affects and weakens different minerals is not entirely clear. Creep is also essential for the convection of the earth’s mantle, which controls the escape of heat from our planet’s interior and provides the energy to drive plate tectonics. Without convection, there would be no plate tectonics, so the presence of water throughout the earth’s crust, and its continued reintroduction to the earth’s mantle by the subduction of tectonic plates seems to be a key component driving the system, or at least, helping it to keep moving along. There are many more links between groundwater and geologic processes, too many to cover in a short blog item like this. However, the current state of our understanding is summarized in a highly recommended book “Groundwater in geologic processes”. Many aspects of groundwater flow and its links with geological processes in newly formed, colliding or subducting plates are still uncertain and studied by hydrogeologists, which means that 50 years after the publication of the theory of plate tectonics, many discoveries still lie ahead. 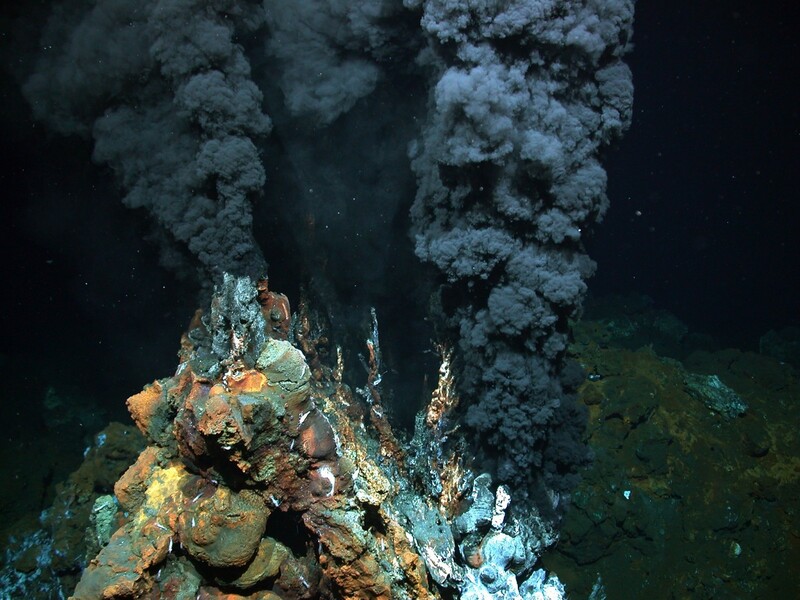 Figure 3 A black smoker at the mid Atlantic ridge emitting hot groundwater into the ocean from newly formed oceanic crust. Copyright: MARUM – Center for Marine Environmental Sciences, University of Bremen. David Hindle (L) is a lecturer and the head of geodynamic modelling in the Department of Structural Geology and Geodynamics at the University of Göttingen, and Elco Luijendijk (R) is a junior lecturer also in the Department of Structural Geology and Geodynamics at the University of Göttingen. Groundwater—the world’s largest freshwater store— is a life-sustaining resource that supplies water to billions of people, plays a central part in irrigated agriculture and influences the health of many ecosystems. Water Underground is a groundwater nerd blog written by a global collective of hydrogeologic researchers for water resource professionals, academics and anyone interested in groundwater, research, teaching and supervision. The blog, started by Tom Gleeson and managed by Xander Huggins, is the first blog hosted on both the EGU blogs and the AGU blogosphere. Communicating research results through comics: is the permeability of crystalline rock in the shallow crust related to depth, lithology, or tectonic setting?